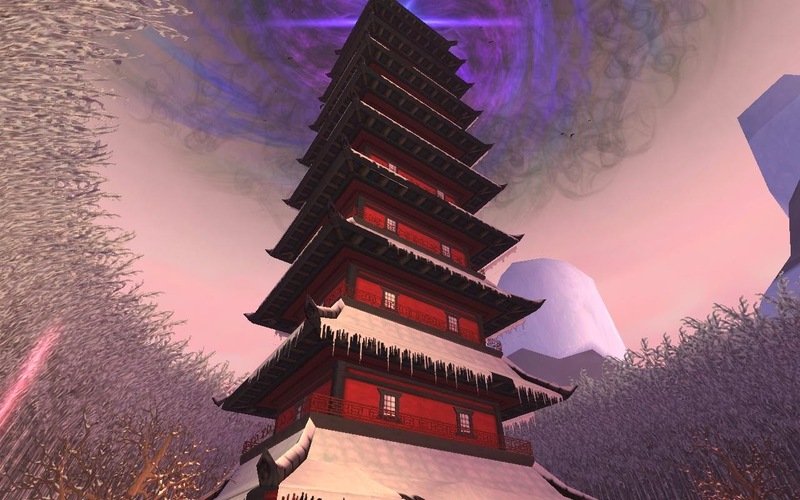 The Tower of Moo Manchu or as I like to call it Mad Cow Tower. This is a extremely fun though very challenging tower. Fun dialogue with even a part where they make you want to be evil. Warning Don't drink the elixir. I sure wanted to though. The group I was with Chrissy ,Alyssa and myself. I think we has a blast of a good time. 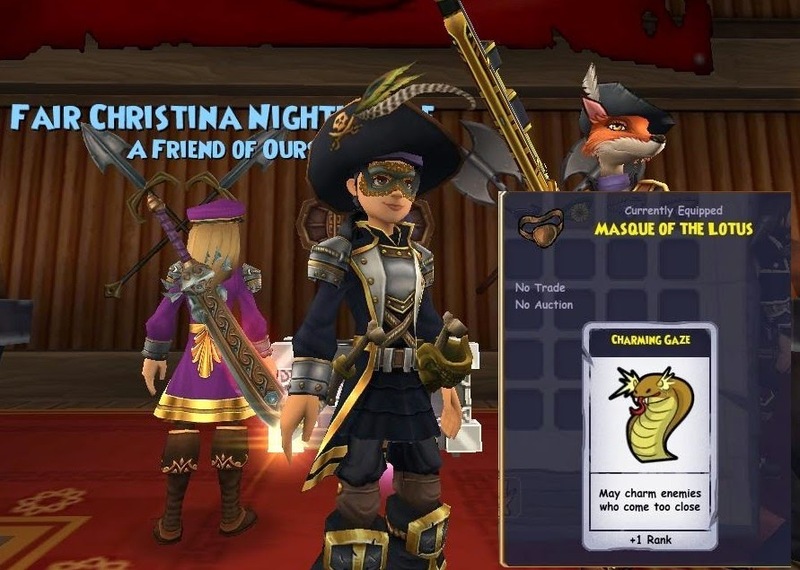 Some really great drops from this tower, from a mask (posted below) to corrupted pets , furniture even a Musketeer weapon I wish I could use. I can sure stitch it to a lower level though. New earrings and glasses make for more unique pirates , I do wish we could wear like a gold loop and a eye patch together I feel these should be separate from the eye patch. I would love to wear both. Flag changing every get tired of your ship flag? 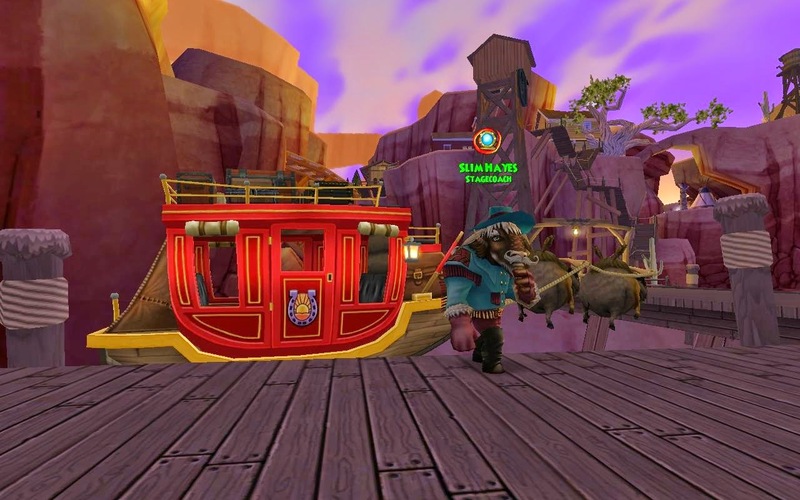 Well now you can change it and see what your companions will look like. 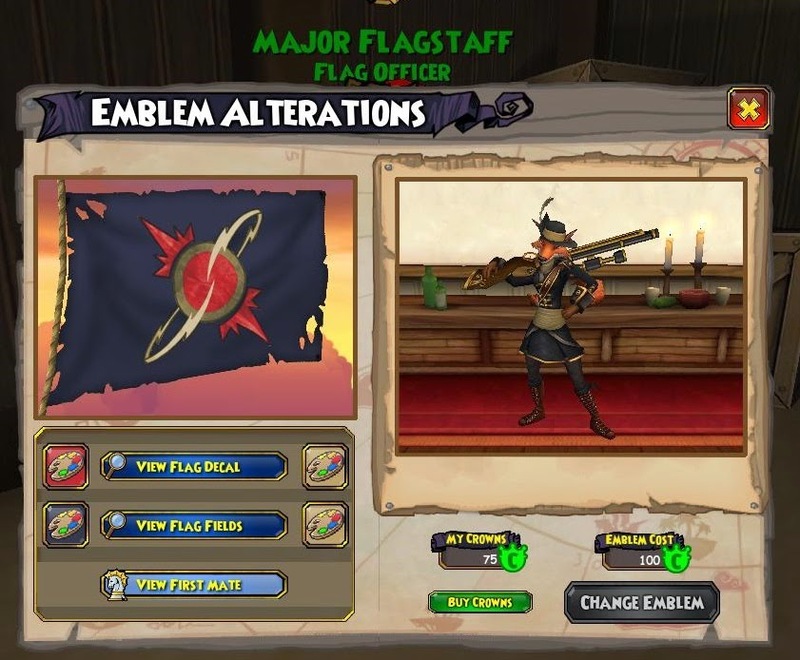 I know some pirate were not liking their colors after they made their awesome flags.